One of the most important things a HR Director can do is continuously engaging employees in the workplace. But what exactly do we mean by ‘employee engagement’? Well, put simply, employee engagement is how interested, motivated, or committed a company’s workers are. 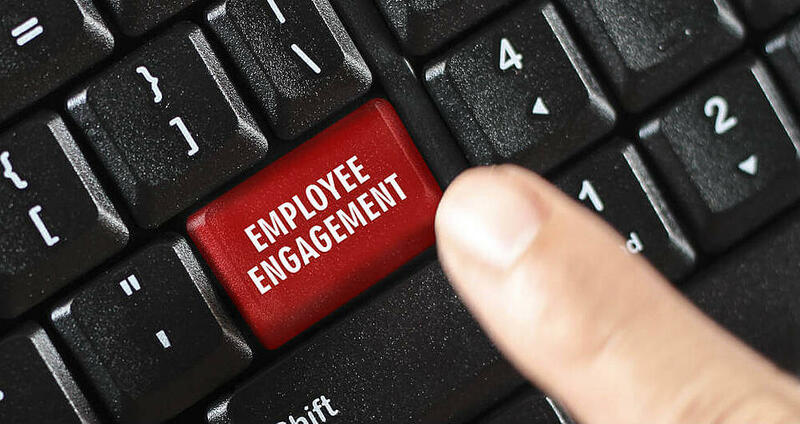 To promote employee engagement is to ensure that your workers are fully motivated and ready to tackle their work in a proactive, positive manner. This means that an engaged employee is much more likely to feel positive about their work, and therefore produce better results. This can ultimately benefit the output of your workforce, and the success of your business. Too many companies neglect putting in the time and effort to engage their workforce. This can lead to a culture of unmotivated employees who lack the enthusiasm to go above and beyond in their day-to-day work. Even doing just a little to promote employee engagement can go a long, long way. Here we will outline some of the key processes that you as a HR Director can take to drastically improve overall employee engagement in your workplace, and help your business and its workers achieve what they’re truly capable of. Before you can do anything, you’re going to want to find out your current level of employee engagement. Perhaps you or others have noticed a general lack of motivation or productivity in your company, but you want to find out what the problem areas are and why these are a problem. To achieve this, it can be advantageous to make use of anonymous surveys or questionnaires. These will allow you to gather data to help identify what actions as HR Director you need to take. Consider the role of a hr manager and how they can help with the survey. Keep it short as to not waste employee’s time. Also try to clarify that it's completely anonymous, and that everyone in the company is included. This will give you the most accurate answers. You may consider using the scaled checkbox format (e.g. highly agree - highly disagree) as these results are easiest to categories and analyse later on. Examples of these prompts could be “I really enjoy doing (X part of the job)” or “I feel motivated to do X”. After the results have been collected you should be able to identify where exactly your workers are becoming disengaged, and why. Make sure to tailor the questions specifically to your company, placing specific importance on what you feel might be problem areas or sensitive areas. However, keep in mind that these surveys should only be used as a base. It’s not enough to send out a survey, collect results, and think you’ve done it all. Your survey should be used in conjunction with your own observations in order to form possible trends and correlations. This data can help you form a solution down the line, with assistance from the other processes listed here. After you have identified the engagement issues, consider tackling these issues with employees individually. How feasible this task is ultimately depends on the size of your company. However, if you have the time it can be very helpful to sit down individually with each worker and have an informal discussion. In this, disucss how they feel about certain issues, or what they think would improve their engagement. Remember that some of the best advice on improving engagement in the workplace often comes from the employees themselves. Taking the time to speak to employees can have a huge impact on their attitude and enthusiasm, and let's you discover how they work. Sometimes it’s useful to let your workers vent about their problems. No workplace is perfect. More often than not, problems in the workplace get ignored due to workers not wanting to speak up through fear of getting in trouble or being labelled as a ‘complainer’. 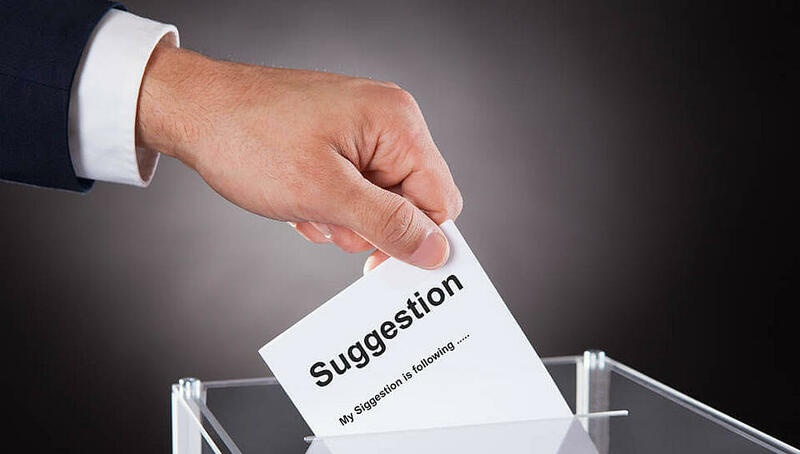 Introducing an anonymous suggestions box or equivalent into the office can be an effective method of letting your workers provide constructive criticism and input. Suggestions boxes can help encourage employee engagement by bridging the gap between employees and management. This has the added benefit of providing you with genuine advice on how you can improve your company, should you choose to take note of the submissions. You can use this to improve morale further by implementing and praising good ideas and responding to criticism, which will make your employees feel valued and therefore more engaged. It’s important that if you choose to implement this, you actually address contributions, whether it be through implementing suggestions, or resolving or acknowledging an issue. By implementing a system that allows and encourages workers to submit feedback, and not addressing this, you're doing more harm than good to workplace engagement. Morale will drop when workers think that they're being ignored by their higher-ups. The culture of an organisation refelcts in the attitudes of the staff. Let’s face it, no matter what job you have, what industry you work in, or what level of worker you are, nobody likes going into a boring job where nobody is allowed to chat or have fun. Encouraging a warm, friendly, and dynamic environment is a great way of improving the attitude of your workers. This ultimately helps improve overall quality of work output. Why not try implementing brief team chats at the beginning of each work day? What about allowing employees to have a more comfortable work experience by introducing a casual dress code or personalised working spaces? There’s nothing wrong with a bit of humour now and again. As HR Director, you're in an ideal position to promote a friendly and welcoming atmosphere. Not only does this improve engagement through improving employee’s mood, it can also make them feel more comfortable. When employees feel comfortable, they're more likely to open up about any issues or queries they have. It’s a win-win situation! The key is to promote a good balance between professionalism and friendliness. As HR Director, it’s important that you understand and empathise with your co-workers and their relationships with each other. The relationship between the different departments and levels of your business is very important. As such, bridging the gap between departments, as well as between management and employees can give a great morale boost to employees. Transparency is key here. Your workers will feel much more comfortable by being in the know within your company, and being aware of how their work affects the business and other people. This can be achieved in a number of ways. One of the easiest ways of ensuring company transparency is to conduct regular meetings both department and company-wide. Regular meetings allow everyone to interact and keep everyone informed on what’s going on. Don’t go overboard though! You don’t want to distract your employees from their work with long meetings too often. You can also promote transparency through more informal methods. For example, encouraging employees of all levels to come together and get to know each other through out of work activities, company meals, and trips. 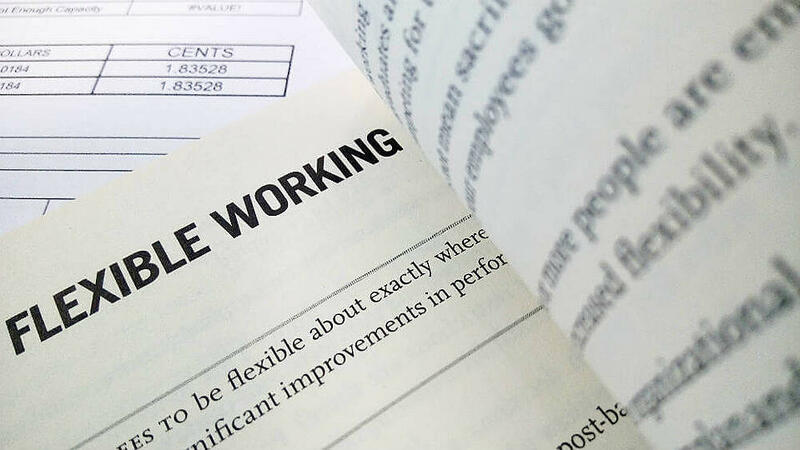 One of the most effective ways of improving workplace engagement is to allow your employees a degree of flexibility. You’ve probably heard the buzzword ‘micromanagement’ being thrown around quite a bit. While many managers like to have full control over the business, in reality there’s no quicker way to lower workplace engagement than micromanaging. Employees will almost always appreciate being given elements of freedom where possible. Remember the benefits of work life balance for employees and how feeling overwhelmed by work can affect their performance. It allows them to work in the way they feel most comfortable, and develop their critical thinking, problem solving, and time management skills. It can be very easy to fall into a hole of demotivation if you think that your work isn’t getting you anywhere. Naturally, everyone wants to feel like they're developing and advancing their career. You have to allow and encourage this to happen. Ensure that you offer opportunities for your employees to improve themselves as workers and as engineers. For example, offering staff development training courses and programs can help your engineers further develop skills they possess, as well as gain new skills and knowledge that can help them further their career. A convenient way of promoting skill development as well as improving employee relations is by organising group development exercises, effectively killing two birds with one stone. In addition, providing and encouraging regular feedback on your employees’ performance can help to promote their own skill development as well as increase transparency. By doing this, you're keeping your workers in the know about your expectations of them and how well they're meeting those expectations. This is mutually beneficial as most workers will appreciate helpful, constructive feedback presented in a friendly manner. The way you tackle the delivery of feedback matters. Being too critical can demotivate people and lower engagement. Ideally you want to encourage them with what they've been doing well, whilst noting where they can improve in a way that will motivate them to do so. Reward your Workers Fairly – and Not Just with Money! Everyone needs incentives at some time or another. If you expect your workers to go above and beyond in their day-to-day work, it’s only fair that they're rewarded in turn. The most obvious way of doing this is through bonuses and pay rises. However, remember that money isn’t everything. Often workers can effectively be motivated to give their all when they have something tangible to work towards. This may be something significant and long-term such as a big company trip. It may also be smaller rewards for hitting targets or accomplishments such as early workday finishes, casual / themed attire workdays, or other non-monetary rewards. Make sure that every worker knows the criteria for the reward structure so that everyone has something to work towards. On a more basic level, rewards don’t always even have to be physical. Simply ensure that good work is acknowledged sufficiently. Remember to praise workers for exceptional work, either privately or in front of colleagues, such as during the conclusion of a meeting. This can do wonders for employee morale and improving engagement in the workplace. So the next time an employee goes above and beyond, make them feel good about it, they deserve it! It often can be as simple as that – just create a culture of treating your employees as individuals instead of statistics, and it’s almost guaranteed that workplace engagement will improve noticeably in time. Remember that improving engagement in the workplace doesn’t just happen overnight. However by taking several of these actions, over time the effects add up, and you may notice a significant improvement in morale, motivation, and engagement. Take the time to make each employee aware that you, the company, and management care about them as individuals. It’s hard to overstate the importance of workplace engagement, especially in a high-calibre, dynamic industry such as engineering. By devoting the time and effort into engaging employees in the workplace, you’ll find that employee motivation and productivity can increase by a surprising amount.